First, a primer: what is Out&Allied and ROMBA? 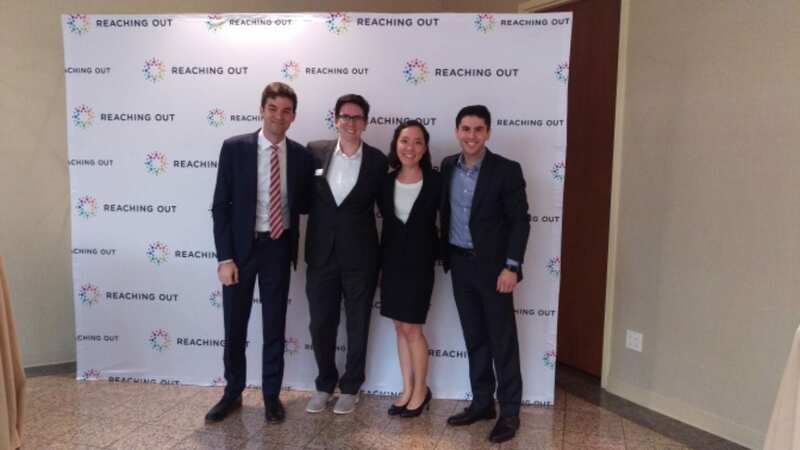 Out&Allied is the Tepper MBA LGBT+ group for those who identify and their allies. ROMBA is a nonprofit organization that works to support LGBT+ students in their business journeys, and they host a yearly conference that includes panels, workshops, networking, and a career fair. The festivities also include a case competition, which team Scotty Dogs– myself, Brandon Pochatila, Dahlia Ting, and David Bell– eagerly signed up for. This was a pretty straightforward case competition. The topic was a business consulting startup firm that was potentially ready for Series B funding. The Scotty Dogs were asked to evaluate if the firm should request Series B, and if so, create an implementation plan for the money and show the return on investment. We had about a week and a half to prep the case, and the race was on! We spent hours together brainstorming, discussing, planning, and staring in awe at the incredibly beautiful PowerPoint slides that Brandon magicked into being. After a week and a half, and by the day some of us flew out to Boston for the conference, we had a 10-slide deck and a great proposal. Before we knew it, it was conference time. But there was plenty to do before the case– Out Women in Business sessions, panels, keynotes including one featuring the brilliant Martine Rothblatt (look her story up– what an inspiration! ), and the career fair. Finally, Saturday arrived, and we presented our solution to the judges early in the morning. Unfortunately, we did not advance to the final round, but it was still a great experience! I had so much fun bonding with my classmates, trying to figure out the case, and presenting at a conference. I felt ready to tackle anything after that presentation, which was great since I had interviews and finals coming up quickly. I would encourage anyone– even those not going into consulting, like myself!– to giving at least one or two cases a try. It’s a great chance to tackle a practical problem and an awesome opportunity to forge new or deeper friendships among your class.